BORDER REIVER ARCHERS is a target archery club for archers from the age of 14 years. Newcomers to the sport may care to try a Taster Session or sign up for a Beginners Course (see separate tab). The Club uses recurve bows and the more traditional longbow (no compound bows are allowed). On-going help and assistance is available, in both disciplines, within the Club and we encourage each club member to progress to their individual goals, whether this is by 'social shooting at the Club' or attending competitions. The Club's year runs from 1st April to 31st March and charges an annual membership fee which covers the general running costs of the Club as well as all indoor and outdoor shooting and subscriptions to GNAS(ArcheryGB), Region and County in accordance with their fee structures. Note: fees are pro-rated for new archers joining the Club/GNAS part way through the year. Please contact the Secretary by Email at: borderreiverarchers@yahoo.com for full details of all charges. All juniors under the age of 16 yrs must be accompanied by a Parent or Legal Guardian at all times. The Club operates within the Child Protection Policy laid down by GNAS(ArcheryGB). Gift vouchers are available to purchase from the Club. 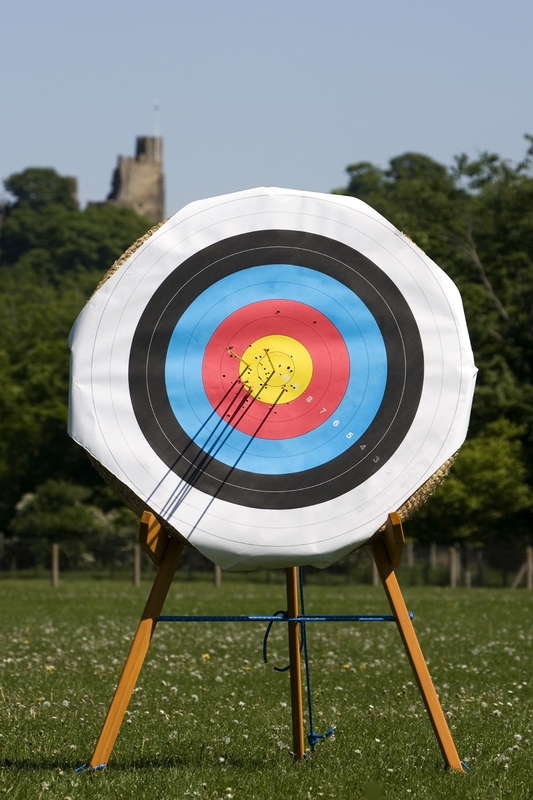 Principally, they are offered for those who may like to try Archery at one of our Taster Sessions but if you have a specific requirement, please contact us and we will be pleased to help. There is also the opportunity to enter competitions run by other clubs, details of which are circulated within the Club and are also posted onto the noticeboard. Many of these competitions are held during the winter months and, although indoors, provide an excellent opportunity to "keep one's eye in", meet members from other clubs and gain further enjoyment of the sport.